The HIKARI MULTI-DRILL HEAD is the machine tool which can process a product needing a large number of drill processing/tap processing/reamer processing/end mill processing at a time. The HIKARI MULTI-DRILL HEAD is rational machine tool improving machining man-hour and reduction and machining speed. 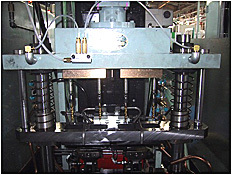 The HIKARI MULTI-DRILL HEAD play an active part in the various industries. The HIKARI MULTI-DRILL HEAD is machining auto mobile parts/electric parts/building material parts/wood work parts/various flanges /various parts/etc. The HIKARI MULTI-DRILL HEAD is processing various materials iron/iron casting/aluminum/plastic/wood/etc. About HIKARI MULTI-DRILL HEAD use merit. 1.The product precision　is stable. There is not machining lapse of memory in order that it is made between the decided machining diameter necessary number of the spindles. 2.Productivity improves and labor saving. It reduces a machining man-hour greatly to have much machining at the same time. 3.This machine contributes to energy saving. Because it can shorten production time , it reduces energy such as electricity. Installation is simple and can use it immediately. the mass production product because it can machine a large number of drill. 6. This machine can install various machines. 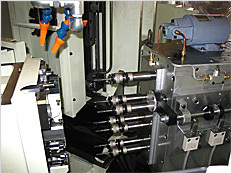 1.We can produce the HIKARI MULTI-DRILL HEAD which small machining between the small interval can process. 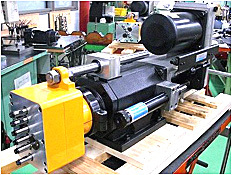 2.We can produce the HIKARI MULTI-DRILL HEAD which can process different size at the same time. 3.We can produce the HIKARI MULTI-DRILL HEAD which can process different specification at the same time. For example, it can process millimeters screw tapping and inch screw tapping at the same time. 4.We are small companies, but there is long time technical accumulation and trust. Copyright(C) HIKARI SEIKO CO.,LTD. All rights reserved.